Wouldn't it be incredible to unearth photographs from the fourth century AD imparting little-known details about ancient Roman life? We would learn about the clothes worn for an outdoor banquet, games that children played and revered mythological creatures. 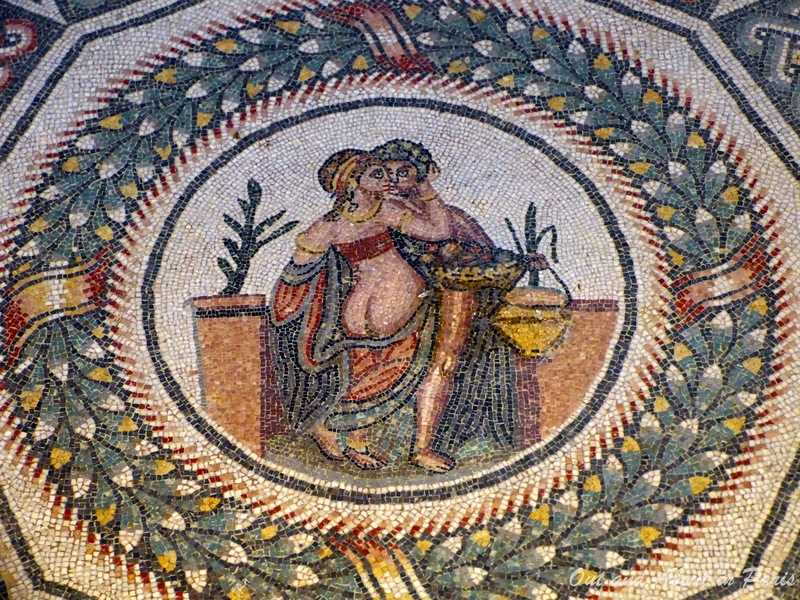 Unique for their narrative style, vivid colors and range of subject matter, the Unesco-listed Roman floor mosaics at the Villa Romana del Casale also give a rare glimpse into the daily life of the man most scholars believe to be the former owner of the sumptuous villa, Marcus Aurelius Maximianus, Rome's co-emperor during the reign of Diocletian (AD 286-305). These extraordinarily vivid mosaics, probably produced by North African artisans, cover 37,600 square feet (about 3,500 sq m) in 40 different scenes. The most majestic mosaic, "The Great Hunt", is a continuous 200 foot (59 m) flowing carpet of stone depicting the hunt and capture of wild animals for use in gladiatorial games in Rome's Colosseum. 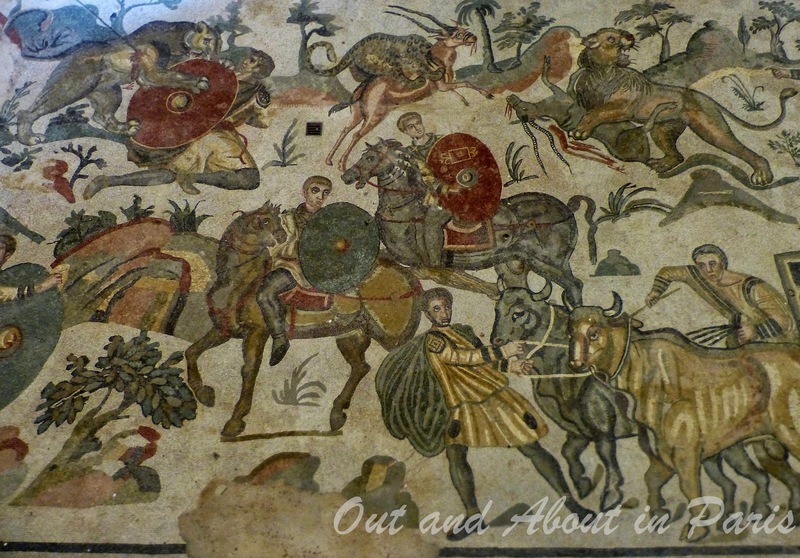 Staggering in its detail, the mosaic portrays panthers, antelopes, ostriches, tigers and a wild boar. A group of men are seen tugging at an elephant as the beast reluctantly boards a small sailing vessel. If, like me, you've always thought that the bikini originated in the 20th century, prepare to be surprised by the Room of the Ten Girls. 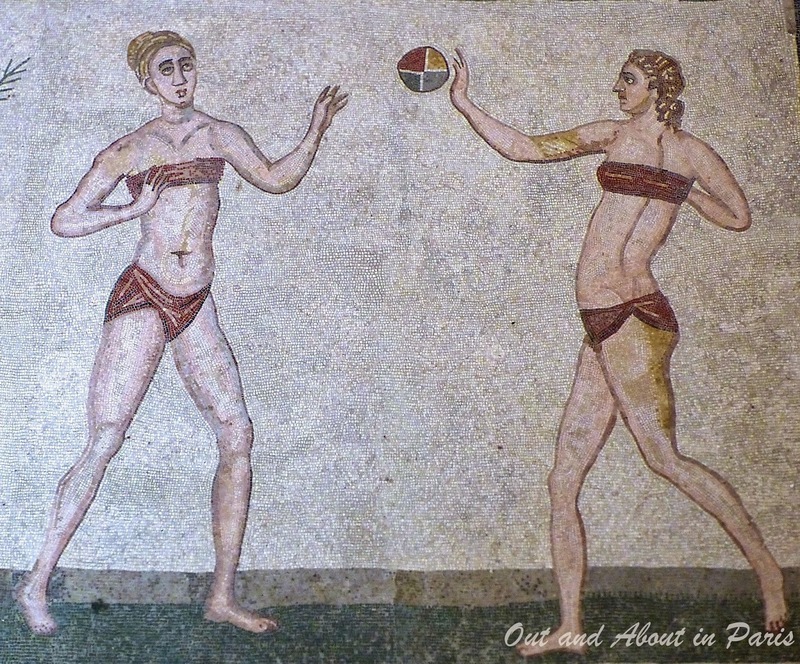 The Villa's most famous mosaic shows young woman playing ball (the origin of beach volleyball, perhaps? ), lifting miniature dumbells and running. 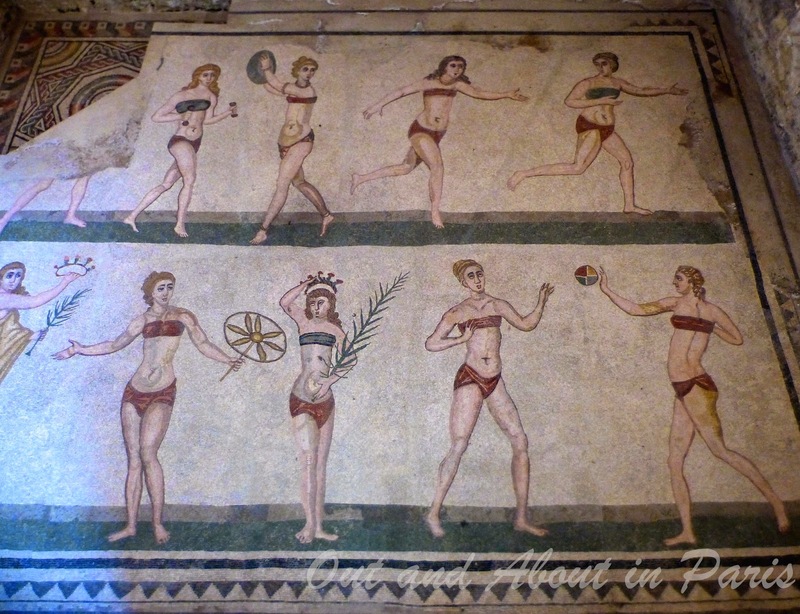 Astonished by the clarity of their bellybuttons, light-colored hair and scanty attire, I found myself returning to the mosaic again and again. These weren't demure women. They were athletes preparing for intense competition. 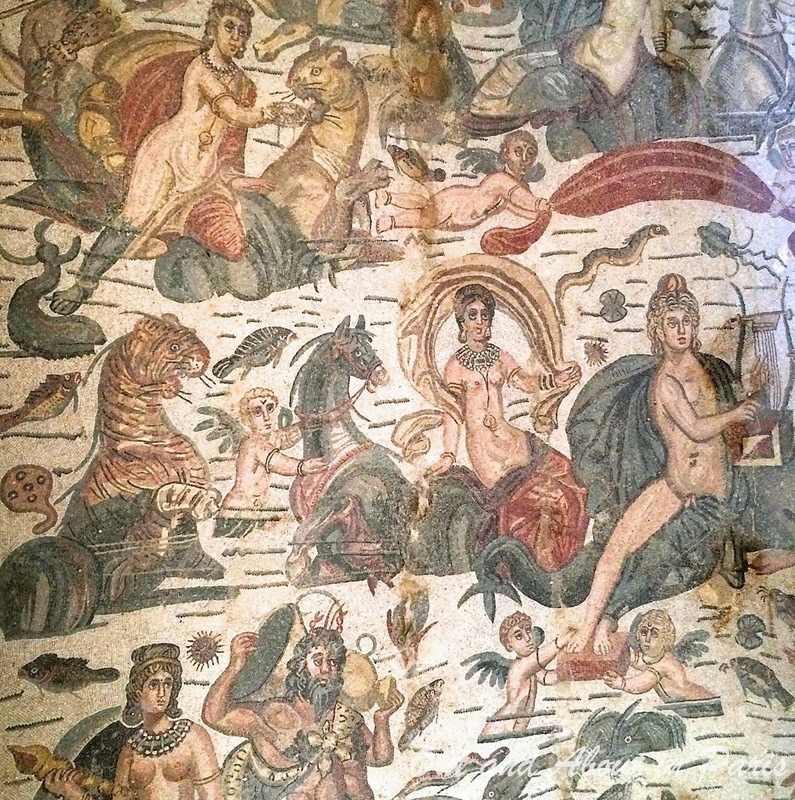 The Villa Romana del Casale is located near the town of Piazza Armerina on the island of Sicily, Italy. This just blew me away when we visited - pictures can't even do it justice - you have to be there to experience the scale. And to think it had been covered for so long.